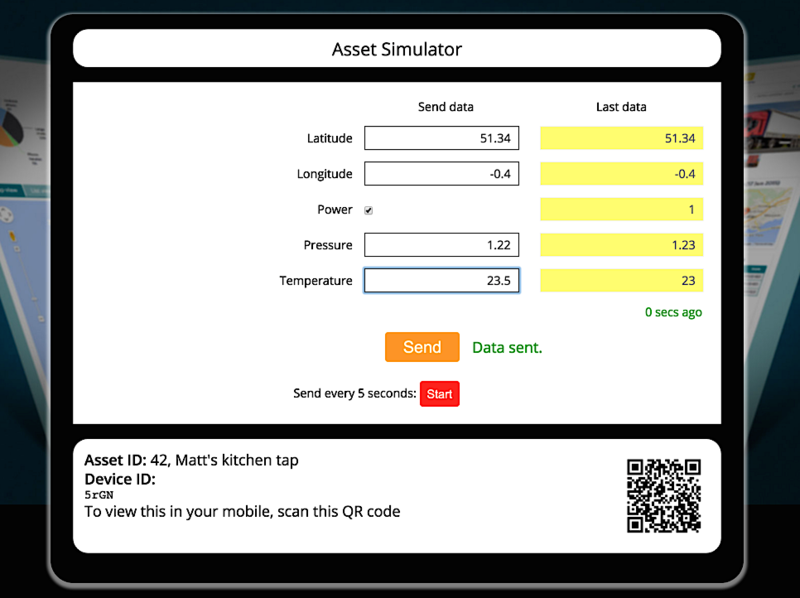 Assetwolf contains a handy IoT data simulator that you can use to generate data for your asset "by hand", if you don't yet have connectivity from a real "thing". Go to your portal, and navigate to the detail page for an asset. Click on the icon in the top-right corner for "Open Data Simulator". The Data Simulator should open in a new browser window. Enter some data in to the fields and press Send. Go back to your asset's details, refresh the panel, and the data should appear there. You can open the Data Simulator on a smart phone, just scan the QR code to see the same thing on your phone.